It's That Time Again!!! 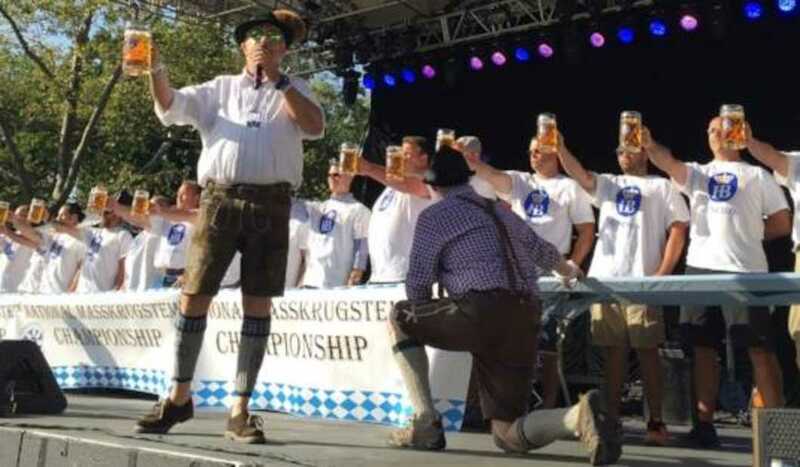 The Bier Stein Holding Competition That We Love is Back! Come try you hand (and arm, and shoulder) at holding a FULL liter of beer longer than any of your competitors. We've produced several National Champions over the years. This year it could be YOU! Qualifiers will be held every Thursday starting May 2nd, with the winners of each week facing off in OUR final August 8th, with the chance to continue on to the next Local final and then hopefully ending with a trip to New York to compete in the National Championship! Open to the Public. Stop by the restaurant to sign up, and have a liter to practice .